On November 8th 2013, Typhoon Haiyan (Typhoon Yolanda) struck the Philippines, leaving in its wake a trail of destruction beyond comprehension. Along with the rest of the world, we at CCP have been following the devastating impact of this force of nature. For the people of the Philippines, the situation remains critical. Even as aid starts to arrive from hundreds of locations across the world, more can always be done. In the wake of this tragedy of almost 4,000 lives lost, over 12,000 injured, more than 1,100 people missing and three million displaced, it has been a heartwarming experience for us to see so many calls from our community to once again host PLEX for GOOD. The community has spoken, and we will answer. Beginning today, Wednesday November 20th, 2013, through Saturday, December 7th, 2013, CCP will be accepting PLEX for GOOD donations from our players. For each PLEX donated during this period, CCP hf. will contribute USD $15 to the Icelandic Red Cross to fund their aid efforts in the Philippines. • Contract one or more PLEX to the "CCP PLEX for GOOD" character on a 14 day item exchange contract. • Contracts will be accepted within 24 hours of submission, though usually sooner than that. Please ensure the receiving character is the one named above, and double check the character is in the C C P Corporation to avoid contracting PLEX to the incorrect character. CCP cannot guarantee the return of PLEX contracted to the wrong character. We cannot thank the EVE Community enough for the support, encouragement and dedication that you have shown to the PLEX for GOOD initiative over the past three years. Previous PLEX for GOOD initiatives have resulted in donations totaling over $100,000 US Dollars to those in need during natural disasters in Haiti, Japan, Pakistan and the United States. In total, the EVE Community has raised donations totaling more than $150,000 US Dollars for charitable causes since the first collection in 2004 following the Indian Ocean earthquake and Tsunami. 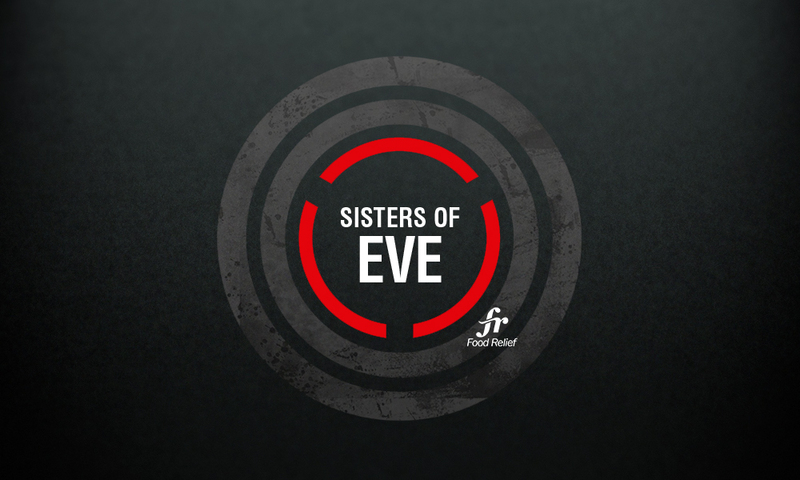 As a gesture of thanks, for each PLEX you donate CCP will give you two virtual in-game Sisters of EVE Food Relief “'Humanitarian' T-shirt YC115” t-shirts (one male and one female) for use in EVE to show your support for PLEX for GOOD. These t-shirts are currently being designed, and will be distributed on Tuesday, December 10th. CCP Bro will also have another Dev Blog lined up for you next Wednesday, November 27th, with more details of a surprise that will hopefully make this the most successful PLEX for GOOD drive to date. To learn more about how this program works, please check out this FAQ for more information. You can also learn more about PLEX here. Please note that your contribution to PLEX for GOOD is not tax-deductible. For information on the Icelandic Red Cross (Rauði Krossinn á Íslandi), please visit their website at //www.raudikrossinn.is/ or contact them at: Efstaleiti 9, 103 Reykjavík, telephone +354 570 4000, central@redcross.is. Please note that CCP regards any scamming attempts surrounding PLEX for GOOD to be morally reprehensible, and any attempts at scamming relating to this program will be met with the harshest and swiftest action at our disposal.